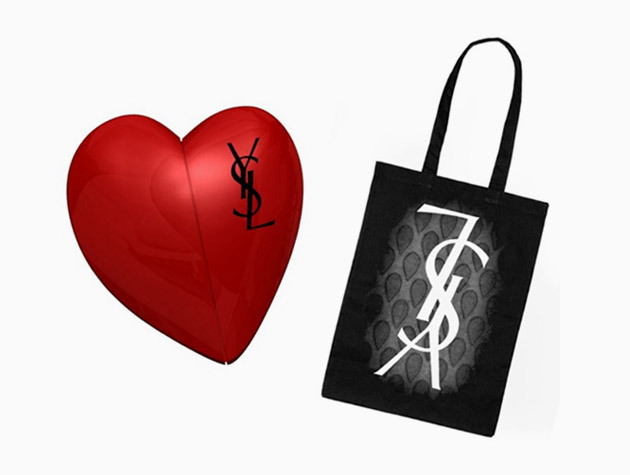 Celebrating Valentines Day in style, Yves Saint Laurent look to giveaway looks of their Spring/Summer 2009 Manifesto Collection in a new, interactive method. The fashion house will be uploading the photoshoot by Inez Van Lamsweerde & Vinoodh Matadin onto a heart-shaped USB flashdrive. The hearts will be handed out in the streets of New York, Paris, London, Hong Kong and Tokyo alongside a Stefano Pilati designed tote bag to the first 2,000 people.